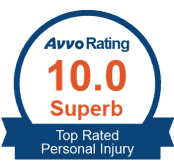 The founder of the Glover Law Firm and experienced personal injury lawyer, Gordon Glover, possesses an AV-rating by Martindale-Hubbell, the highest rating as determined by other attorneys and the judiciary. Gordon has been recognized by Florida Super Lawyers, a distinction given to less than 2.5 % of the lawyers in Florida. In addition to a spectacular list of professional credentials, Gordon is involved with the local community by serving as a Board Member in a number of community organizations including the Rotary Club, Public Education Foundation, and Boys & Girls Club. With offices conveniently located in The Villages and Ocala, the Glover Law Firm is here to serve you and your family members. 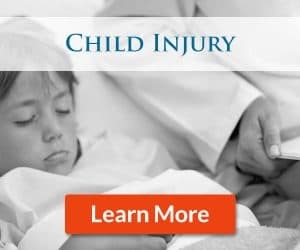 If you have been injured in an accident and have questions or need legal advice, call the Glover Law Firm today for a free consultation and case evaluation at (352) 205-4495 in The Villages or (352) 484-0775 in Ocala. You can also contact us online for further information. 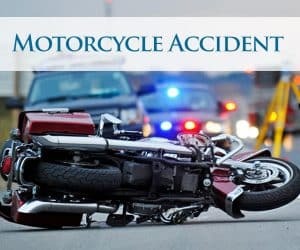 Being in an accident can temporarily or permanently upend your life. 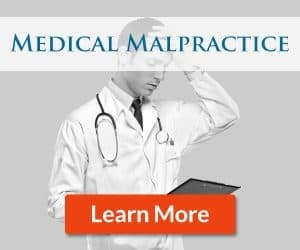 In the immediate aftermath, you may be forced to deal with significant pain and costly medical treatment. It’s possible that you will have to adjust to a permanent change in your lifestyle if your accident leaves you with a disability. All of these results will likely be very expensive and dealing with these unexpected costs while also recovering from your injuries can be stressful and overwhelming. 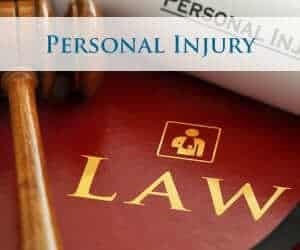 Filing a personal injury suit can ease the stress of your accident and aid your recovery significantly. However, personal injury suits can be complicated and confusing. You do not want to make any mistakes that might risk your ability to collect the full amount of compensation to which you are entitled. Your injuries have already made life stressful and challenging enough. It is time to enlist the professional, experienced assistance of a personal injury attorney. When you engage an attorney, you allow yourself to focus on taking care of your health and returning to your life in Ocala or The Villages. Meanwhile, your lawyer can handle all the legal complexities involved in your case. Your lawyer will know how to investigate your case to identify the liable parties and gather all the necessary evidence. From there, they will be able to craft a compelling legal strategy that they can use to argue your case against insurance agents, other lawyers, and even in court, if necessary. With a lawyer on your side, you are likely to receive a much larger settlement than you would trying to defend yourself. 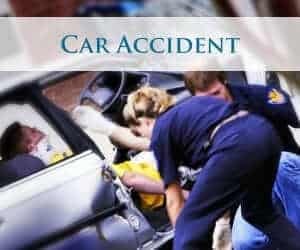 Glover Law Firm represents residents of The Villages who are hurt in accidents caused by the reckless or negligent actions of others. We are here to make sure that you get justice and the fair compensation you are owed. 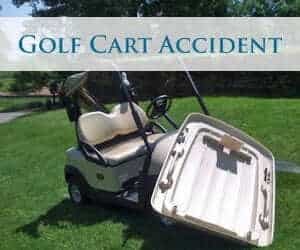 Injury accidents can happen in any number of ways, but specific types of accidents are especially common in The Villages and across Sumter County. 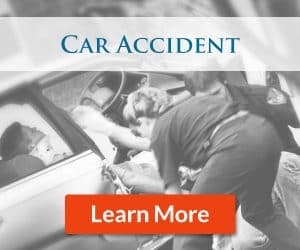 Car accidents are a concerning danger for residents, with over 1,500 collisions resulting in 926 injuries and 17 fatalities in 2016 alone, according to Florida Highway Safety and Motor Vehicles. 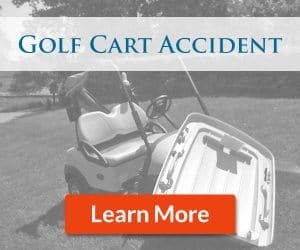 Cars are not the only vehicles that could be involved in severe injury accidents, as golf carts and other low-speed vehicles are also very popular modes of transportation in this area, and are often involved in serious collisions. 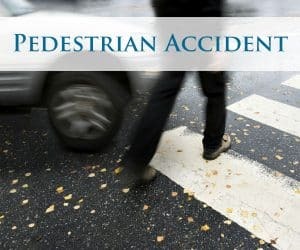 Pedestrians and cyclists are a common sight on the sidewalks and streets in and around The Villages, so drivers of cars, trucks, and low speed vehicles need to be aware of their presence and drive with caution around them. 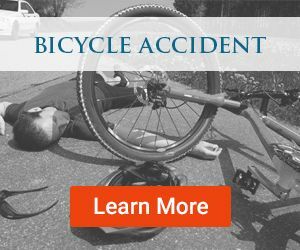 Failure to yield the right-of-way or driving while distracted could lead to serious harm to cyclists and pedestrians if an unexpected collision occurs. 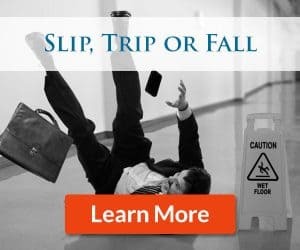 Off the road, slip and fall accidents are another major risk for residents in Sumter County. 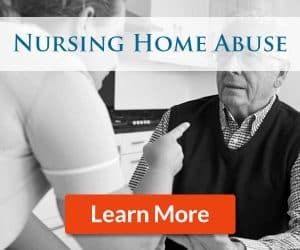 The senior citizens living in The Villages are particularly at risk for these accidents, since, according to the Centers for Disease Control and Prevention reports, more than 3 million older Americans visit the emergency room after falls every year. 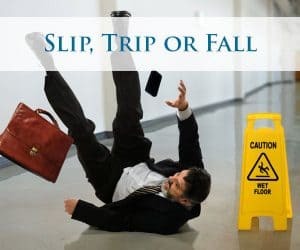 Senior citizens are also more likely to die after a slip and fall accident. Car accidents are among the most significant risk in Ocala and around Marion County. Florida’s Integrated Report Exchange System shows very clearly just how dangerous this risk really is. In 2017, Marion County had 6,691 car accidents, with 3,233 of those resulting in injuries. 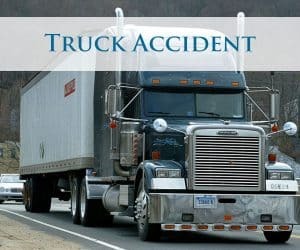 5,136 individuals were injured in those accidents. 83 of those accidents were fatal, resulting in 91 total fatalities. 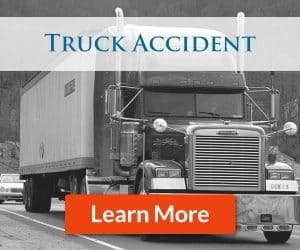 Commercial vehicles, such as large trucks, also cause many serious accidents, totaling 733 in 2017. 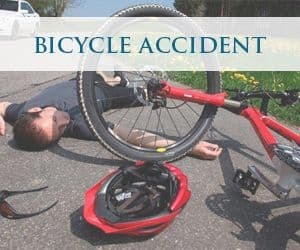 Meanwhile, 143 crashes involved pedestrians, resulting in 15 deaths, and 73 crashes involved bicycles, resulting in three deaths. These statistics cover just a few of the many practice areas we focus on at Glover Law Firm. 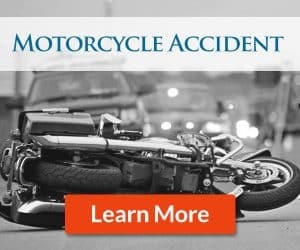 No matter what accident caused your injuries, know that you are not alone. We are available to help you seek justice and compensation after any injury caused by someone else’s negligence or recklessness. Some of the types of tangible and intangible damages that are sustained in personal injury cases are medical treatment costs, loss of wages, loss of job and earning capacity, pain and suffering, negative impacts on capacity for enjoying life and on lifestyle, and negative impacts on relationships with a spouse, children and other family members. Has the negligent conduct of another person or party caused you serious personal injury? 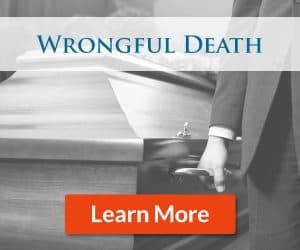 Have the actions that another took caused the wrongful death of a beloved family member? 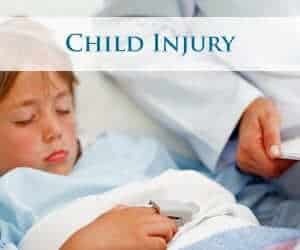 If so, an Ocala or The Villages personal injury attorney at the Glover Law Firm may be able to help you today. The Glover Law Firm operates on a contingency fee basis. What this means is simple: if we don’t win your case, you won’t pay anything. We choose to operate this way for the sole benefit of our clients, we want to see you obtain a successful recovery so that you can continue to carry on with your life. Attorney Gordon Glover possesses an AV-rating by Martindale -Hubbell, the highest rating as determined by other attorneys and the judiciary. Gordon was also recognized by Florida Super Lawyers, a distinction given to less than 2.5 % of the lawyers in Florida. 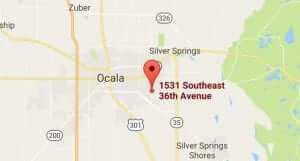 The Glover Law Firm has offices in The Villages and Ocala to serve you. 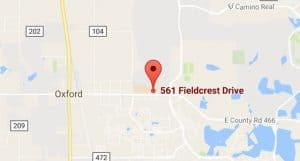 Both offices are centrally located, and The Villages’ office is “golf cart accessible”. Attorney Gordon Glover is available 24/7 for in home and hospital visits, and charges no attorney’s fees unless he recovers money for you! 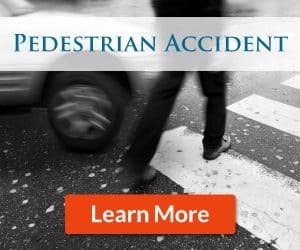 Everyone who comes to a personal injury lawyer arrives with questions. 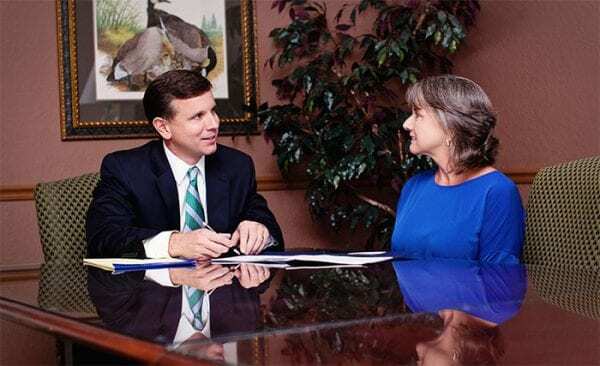 To help you get those answers faster, we have provided some short responses to some of the most common questions we get at our offices in Ocala and The Villages. Liability is the legal word for fault. In order to receive compensation, your lawyer will need to prove liability on the part of those who caused your injuries. 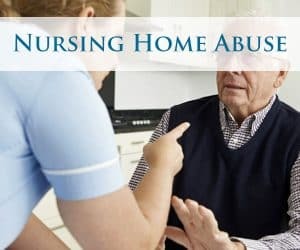 In order to do this, you will have to demonstrate that the person you believe to be at fault owed you a duty of care. Some examples of duties of care include all drivers on roads, who have a duty to obey the laws and drive carefully to keep others safe; medical professionals, who have a duty to provide the treatment that any reasonable and competent professional would provide in a similar situaiton; and property owners, who have a duty to keep their premises safe for visitors. This can be deceptively tricky to prove, but a lawyer can help. 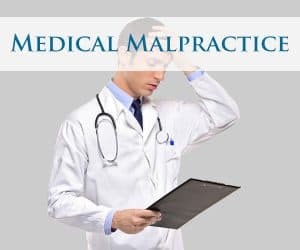 After a duty of care has been established, you will need to prove that the at-fault party violated their duty of care in some way, that this violation led directly to your injuries, and that your injuries caused you significant damages. This is impossible to answer without first reviewing your case thoroughly. However, we promise to always be upfront with you and to pursue the full amount of compensation your case allows for. 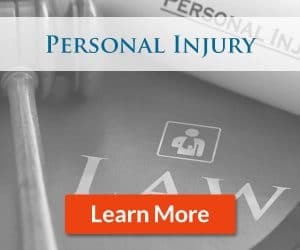 Depending on the facts of your case, you may be able to recover compensation for your past and future medical expenses, property damage, lost income from missing work, lost earning capacity if you suffer a disability, rehabilitative costs, pain and suffering, disfigurement, and more. 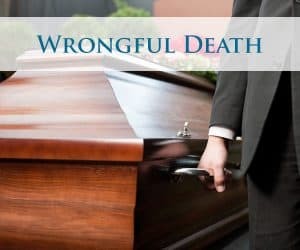 Furthermore, if your loved one was killed in an accident, you may be able to pursue a wrongful death claim to recover money for their final expenses and your loss of support and inheritance. Glover Law Firm works on a contingency fee basis. That means we only receive payment when you receive a monetary award. We then get paid a percentage of the final settlement or judgement that is agreed to before we handle your case. In the unlikely event that we are unable to recover any money for you, you will not owe us anything. This allows you to hire us without fear of incurring more expenses that you cannot afford. Are you the right lawyer for me? No lawyer can promise to be right for every case, but if you are looking for an experienced attorney who cares about you, your story, and your needs, then there is no place better to go than Glover Law Firm in Ocala and The Villages. To learn more about how we can help you with your particular case, call us today at (352) 205-4495.